With scenic rolling hills and granddaddy oaks NW Marion County real estate is a horse lover’s dream. 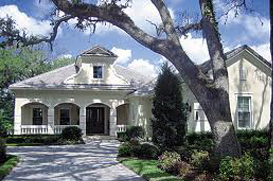 NW Ocala real estate offers everything from small gentleman’s horse farms to Millionaire’s & Billionaire’s row with multimillion dollar luxury home training facilities. This is why HITS chose Ocala, FL to hold one of their annual “Horse Shows in the Sun” Hunter/Jumper competitions. This 9 week event brings the best riders from all over the world to compete for millions in prizes. Many of the competitors fall in love with all Ocala has to offer and decide to purchase their own Ocala horse farm property. Nestled among the rolling hills and horse farms there are several great neighborhoods and active adult retirement neighborhoods. Who would have thought that retirement age would have come so quickly? Its funny how something like that can sneak up on you, and even though you don’t feel like you’re ready to retire, you can still relax and enjoy an adventurous retirement community in NW Ocala real estate. Find the perfect property for you now by reaching out to the local experts at Realty Executives today. NW Ocala homes for sale can come on the market quickly, which is why Realty Executives pride themselves on being able to anticipate the market. With fast and friendly service, they can individualize your search results to meet your exact criteria for looking for a home. These are you Golden Years and you should live precisely how you want to live! Don’t settle for something that you don’t deserve, have the local experts at Realty Executives find the location for you while you take care of your other retirements plans. Plans like which golf course in or near NW Ocala will you frequent the most? With lots of options to choose from, this important decision might not be as simple as you think! Or maybe you’ll be busy working your schedule around which theatre to visit and which shows to take in? Maybe you’ll spend your time shopping in one of the diverse shopping malls, or enjoying the gaping outdoors and rolling grassy knolls? Basically, you worry about how you’re going to spend your retirement in NW Ocala and let Realty Executives Brokerage worry about getting you plugged in to the proper community that fits your wants and needs exactly. Contact them today before the dream home you never knew was available is picked up by someone else!